4ft lamp recycling kit comes complete with poly liner (and tie), instructions, and prepaid return shipping label. 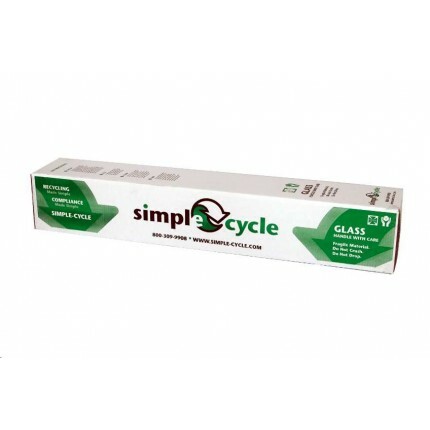 4ft Simple-Cycle container holds 30 T12 or 60 T8 4ft straight lamps. This is not available in Hawaii, Alaska, or Puerto Rico.